Our Measuring Technology section features satellite measuring devices that come in handy when installing and setting up satellite dishes. A satellite signal-strength meter is a useful device when adjusting the satellite dish into the correct position. 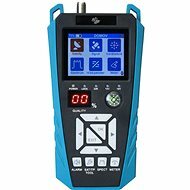 The signal-strength meter can be powered, for example, via a coaxial cable leading from the satellite receiver, though signal-strength meters also include cables with F connectors. 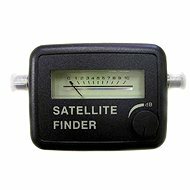 Among the companies manufacturing satellite signal-strength meters are Yanks and Profinder. The AMIKO X FINDER, is an excellent satellite receiver, capable of capturing any broadcast standard and measuring the signal quality. The device includes a fast spectrum analyser, constellation diagram, and dish angle calculation (azimuth, elevation). It’s a DVB-T receiver that can also handle DVB-S/S2 and DVB-C specifications. 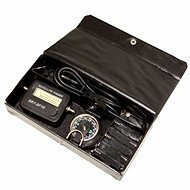 Thanks to its nifty case, this portable satellite signal-strength meter allows you to make signal reception adjustments right next to the dish. It includes a 7" display for the measurement data and its own Li-Ion battery with up to 7 hours of battery life.